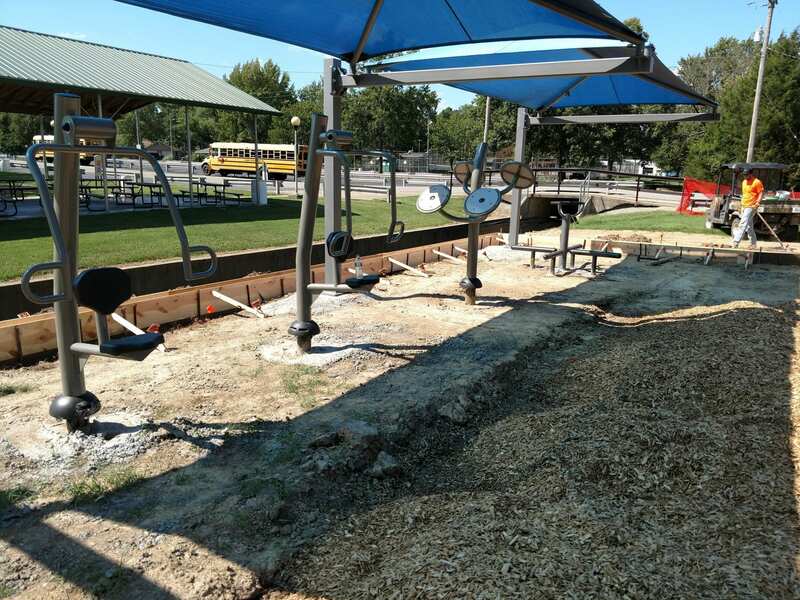 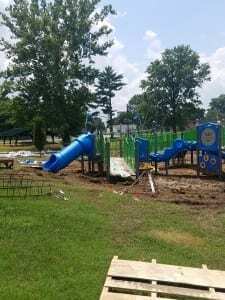 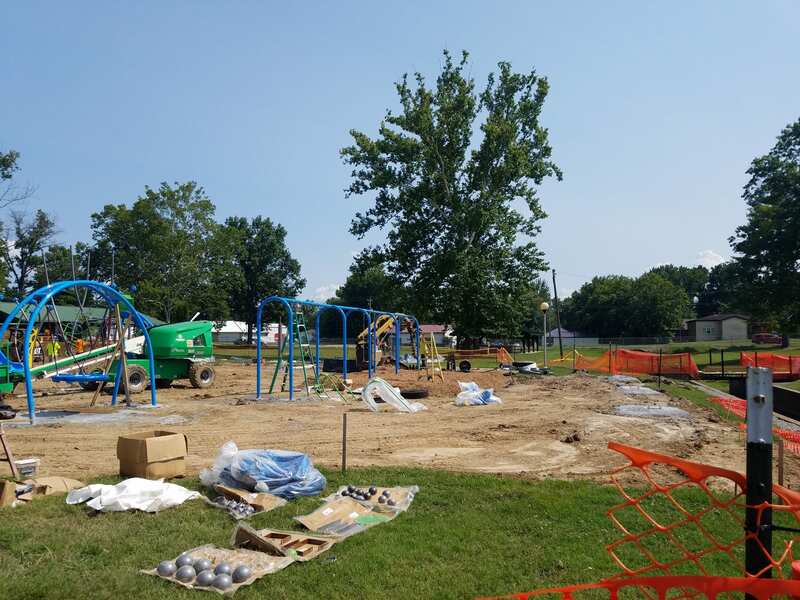 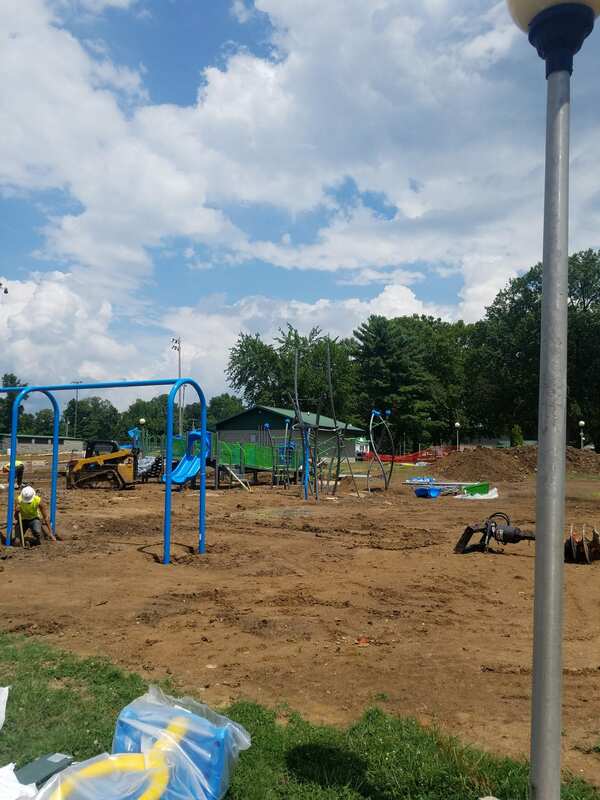 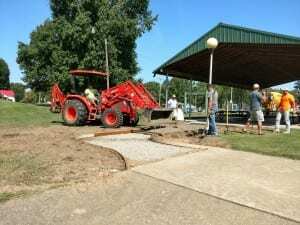 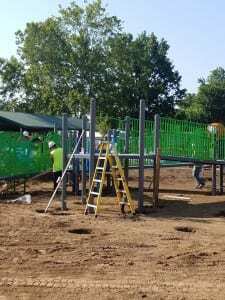 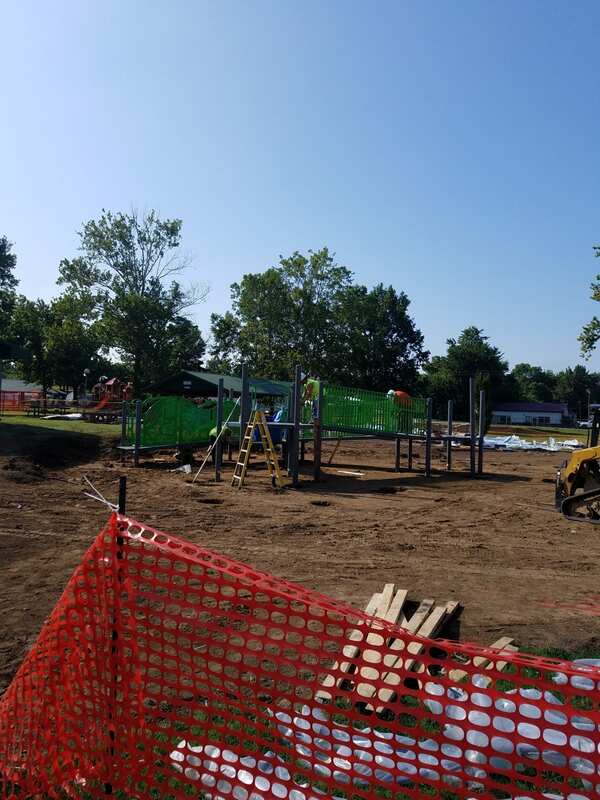 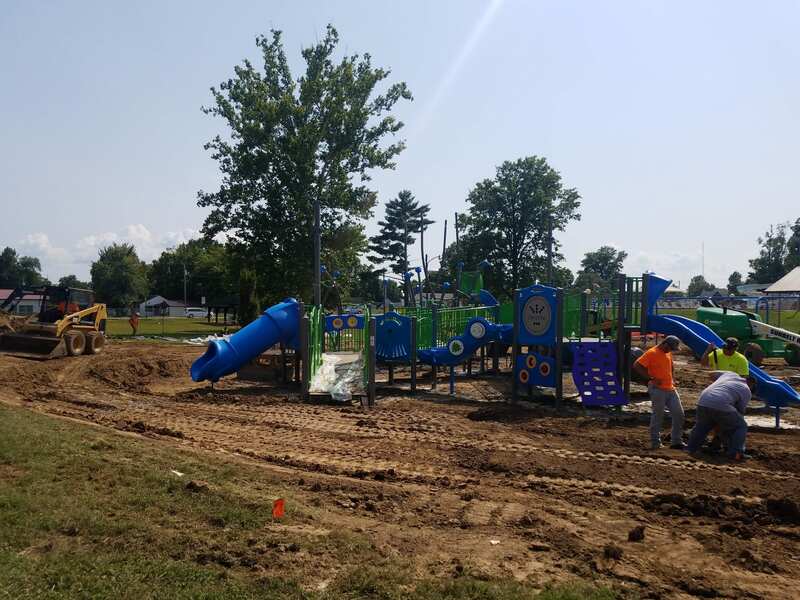 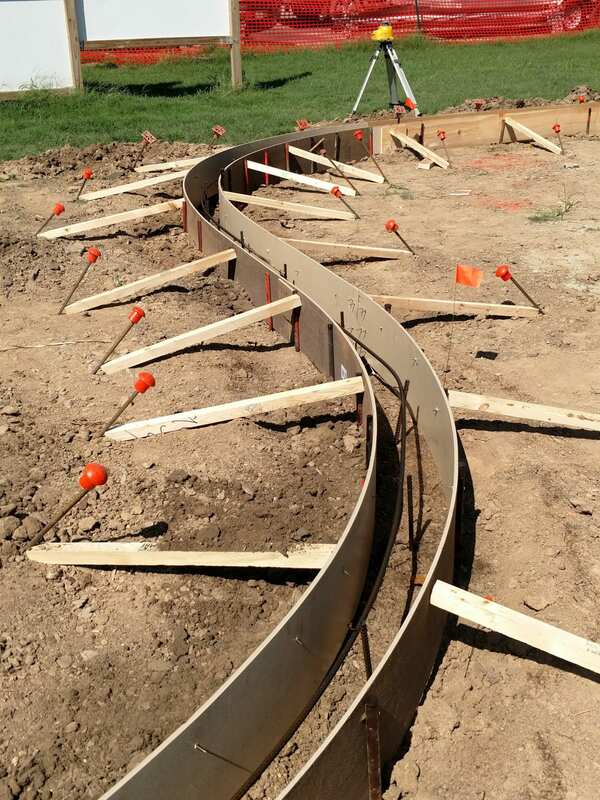 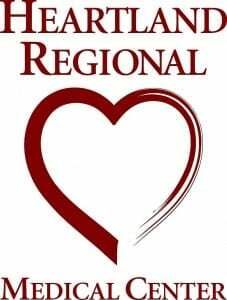 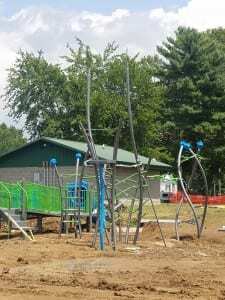 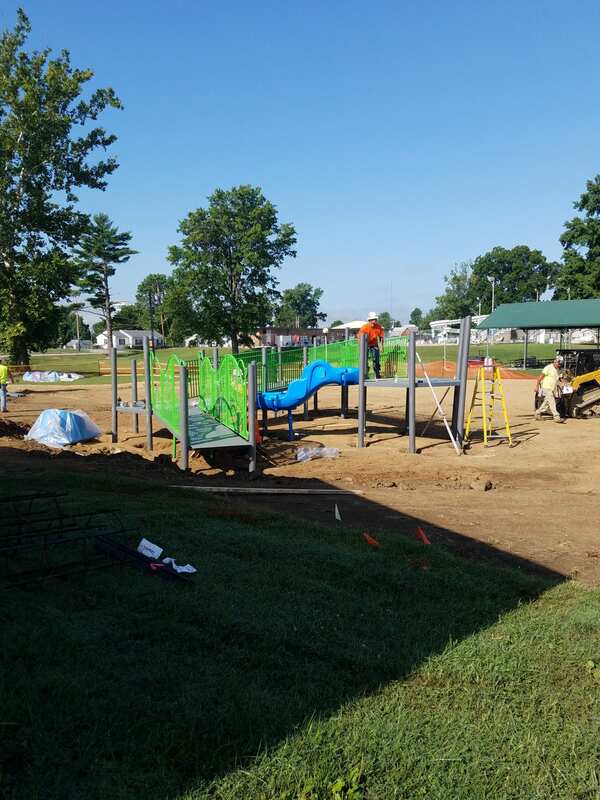 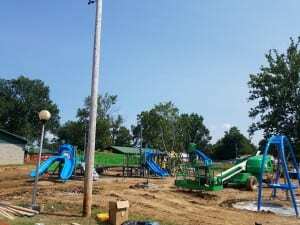 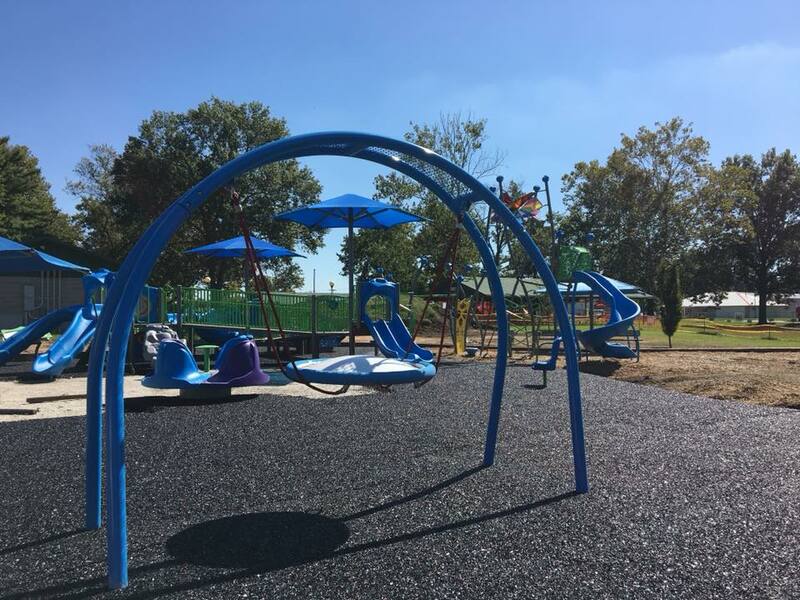 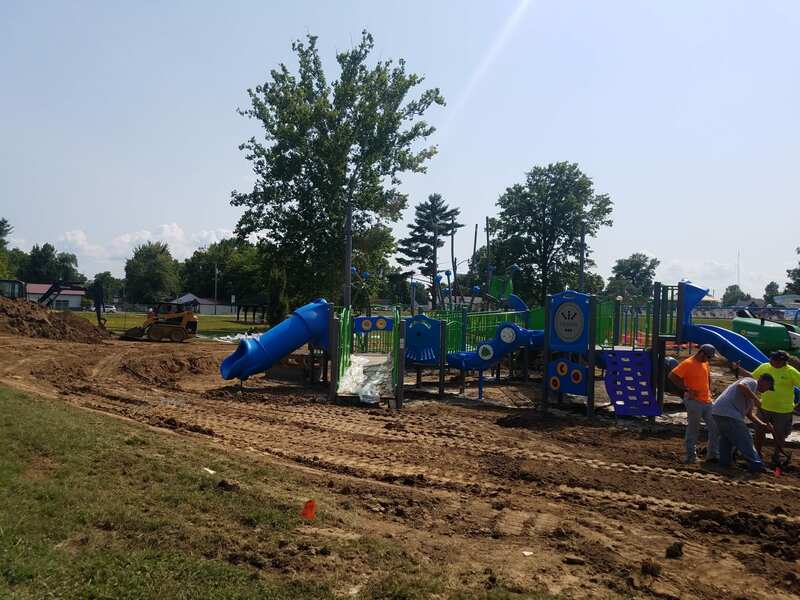 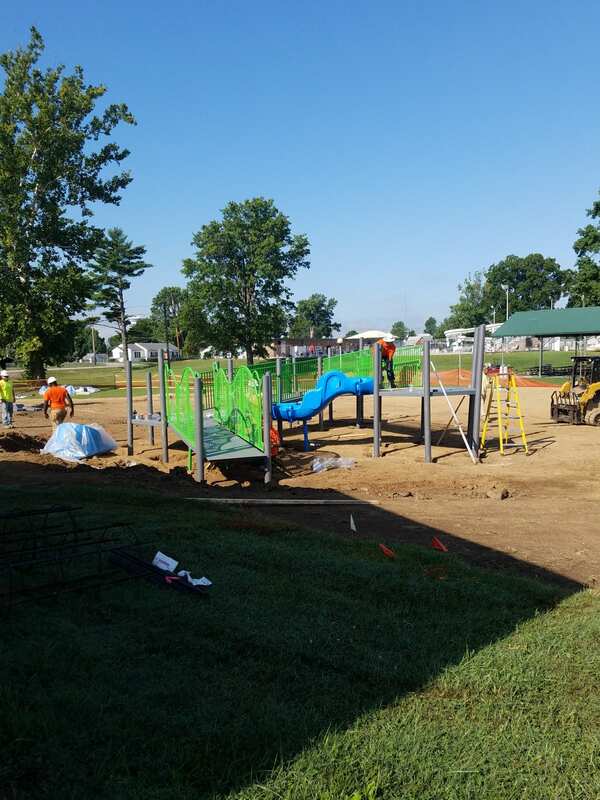 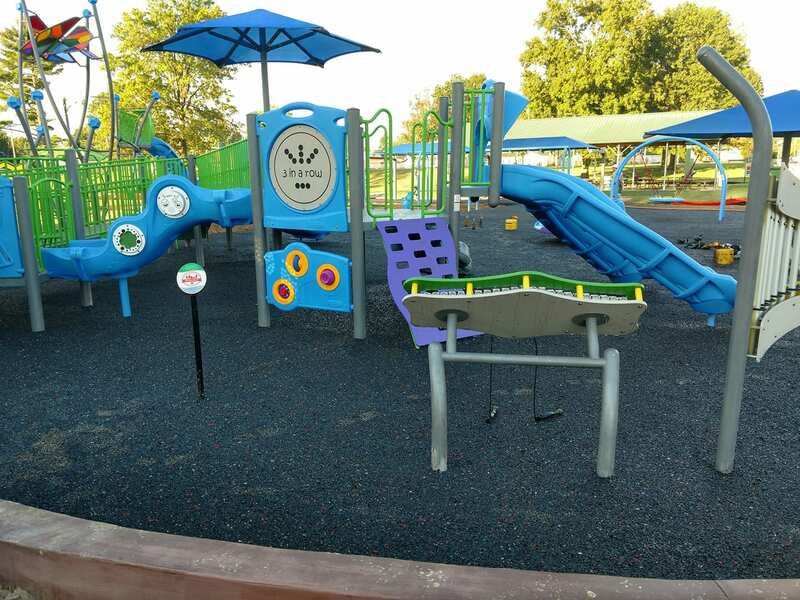 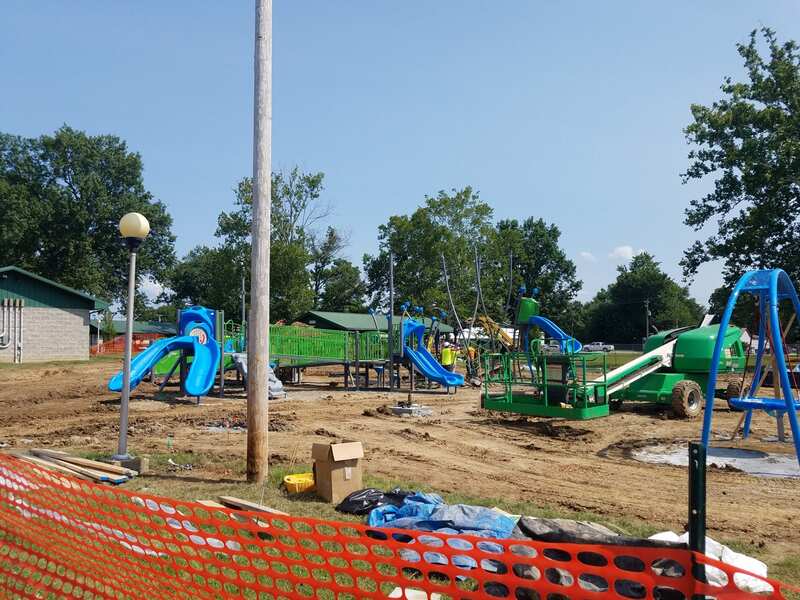 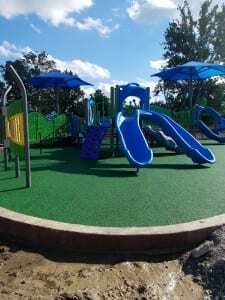 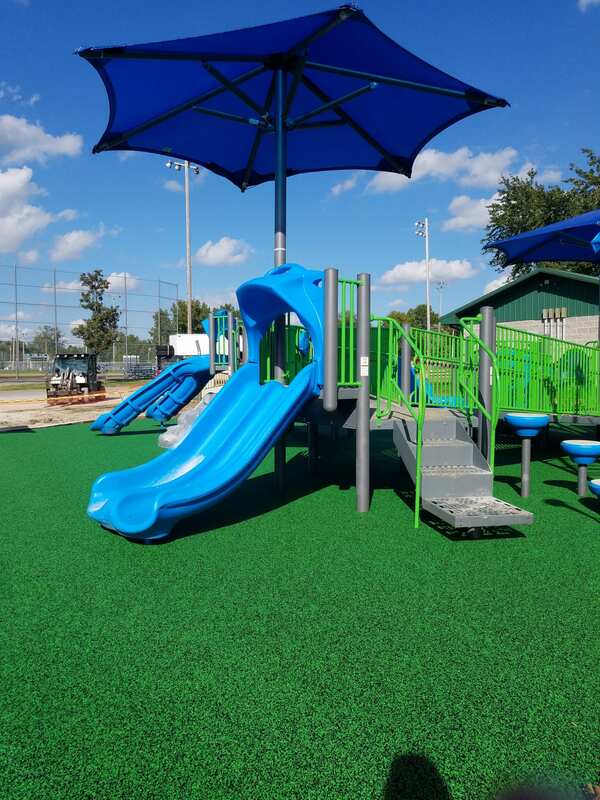 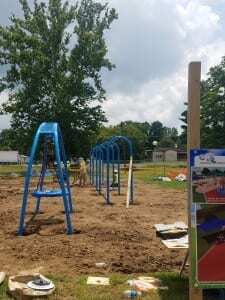 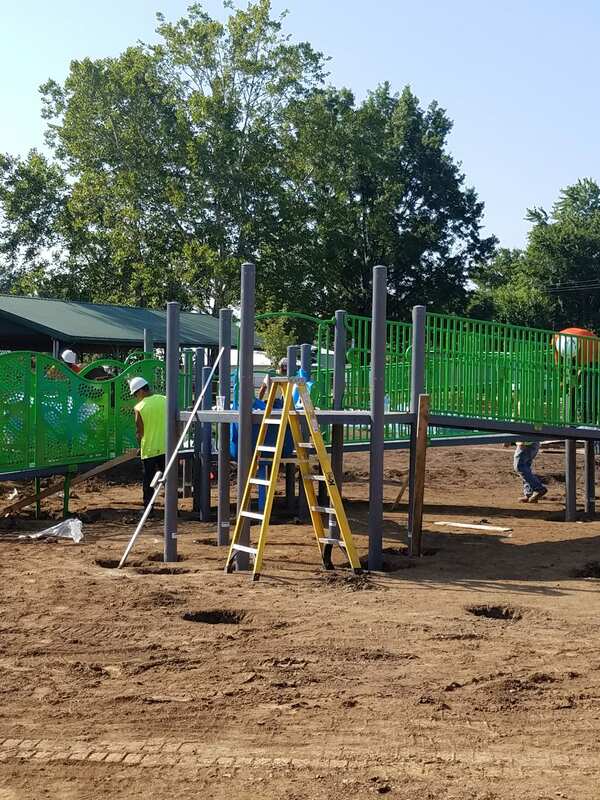 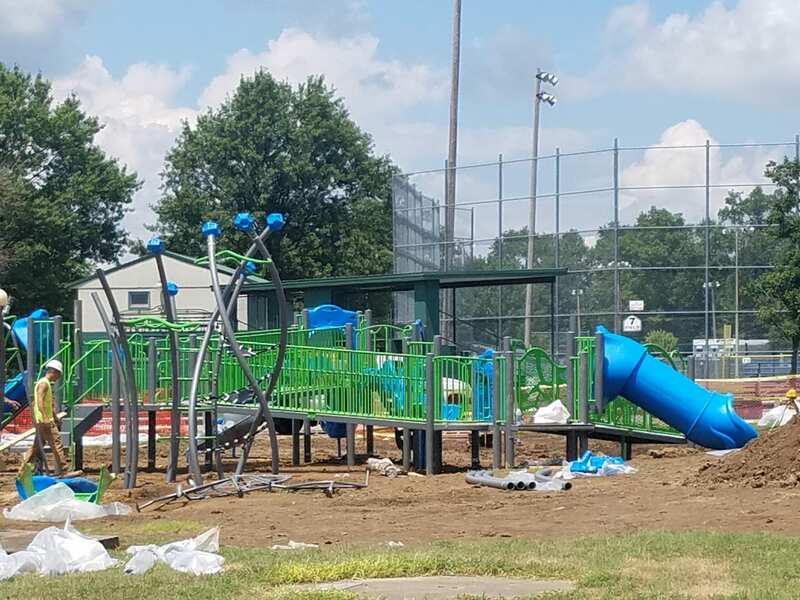 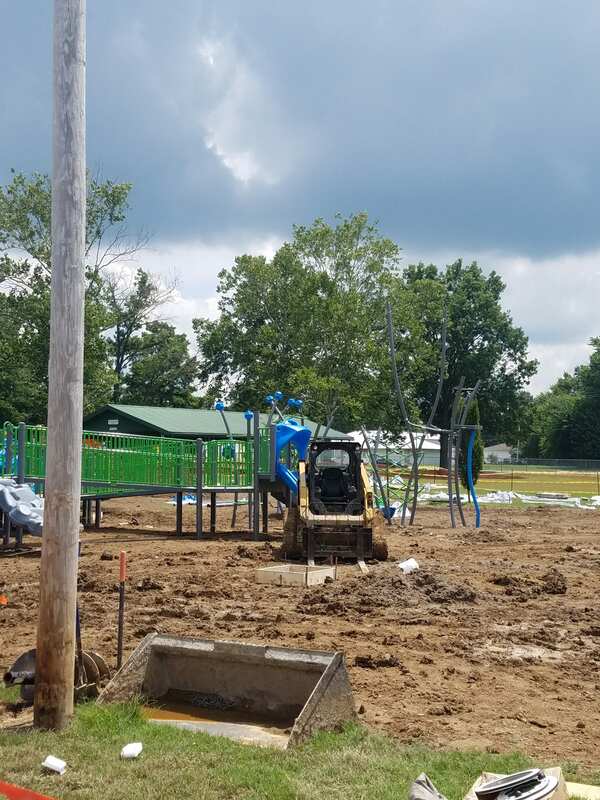 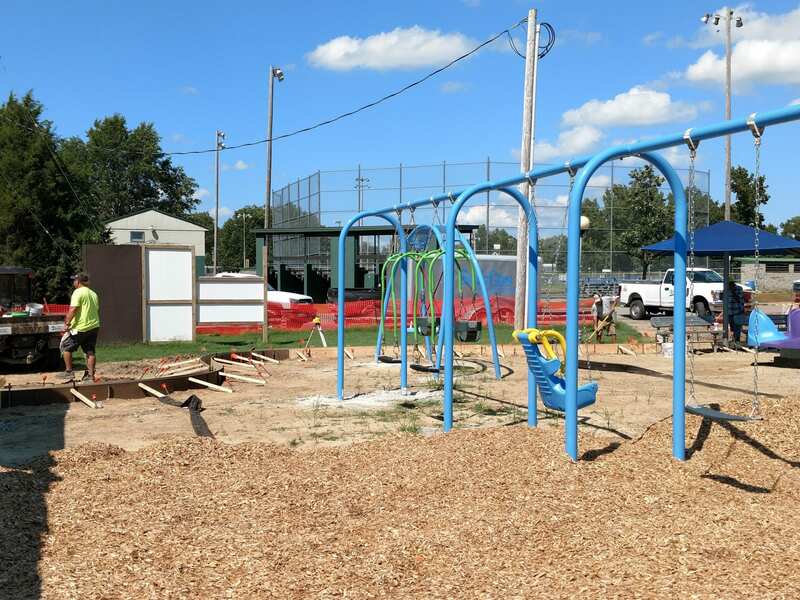 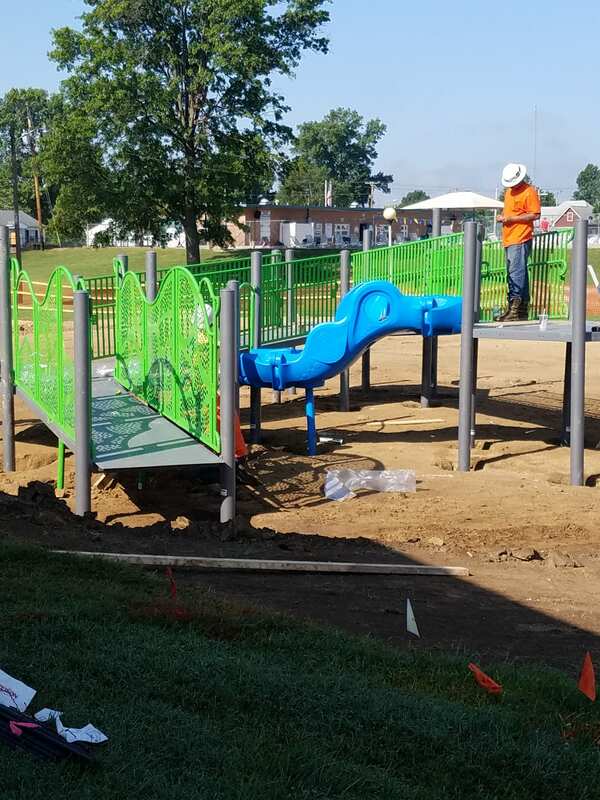 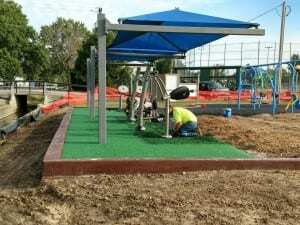 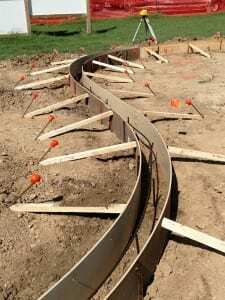 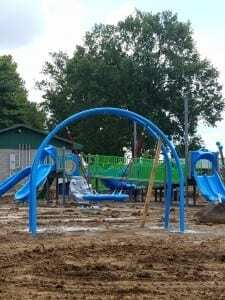 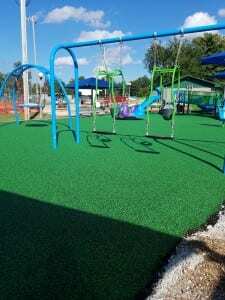 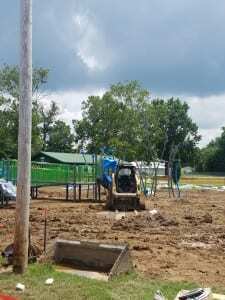 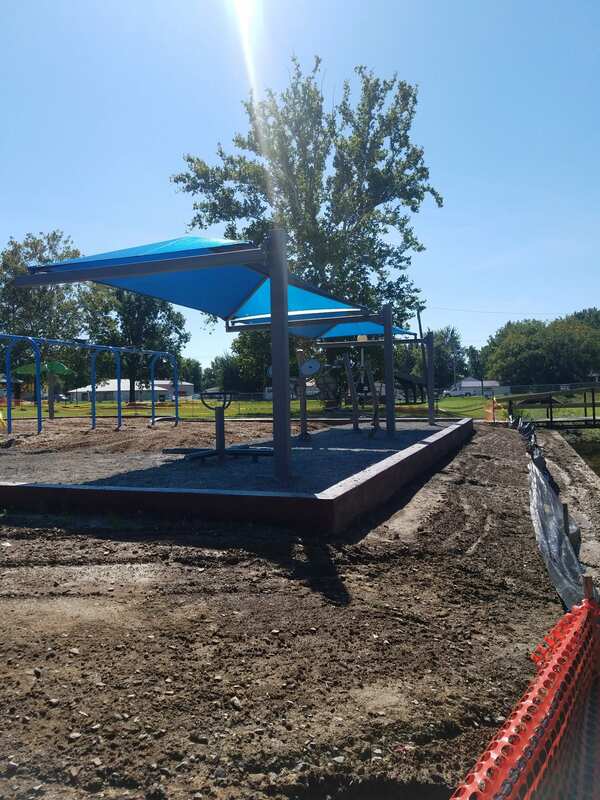 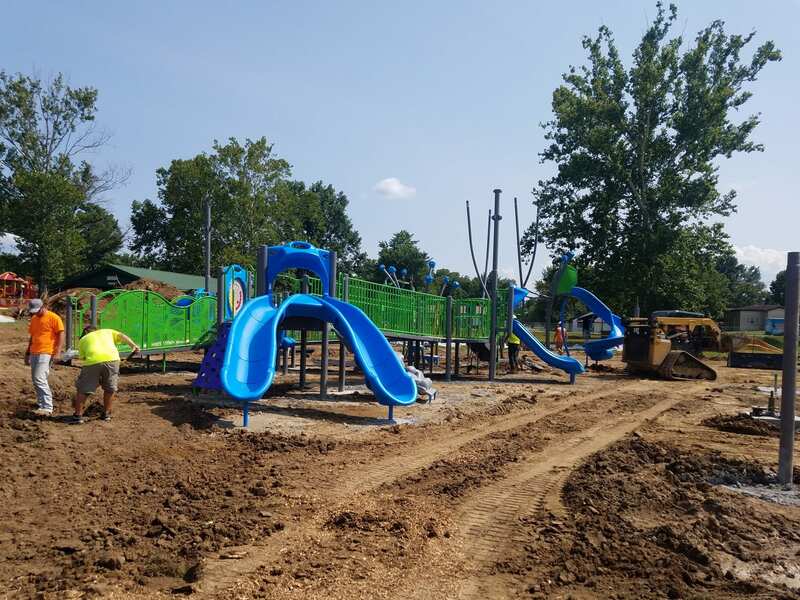 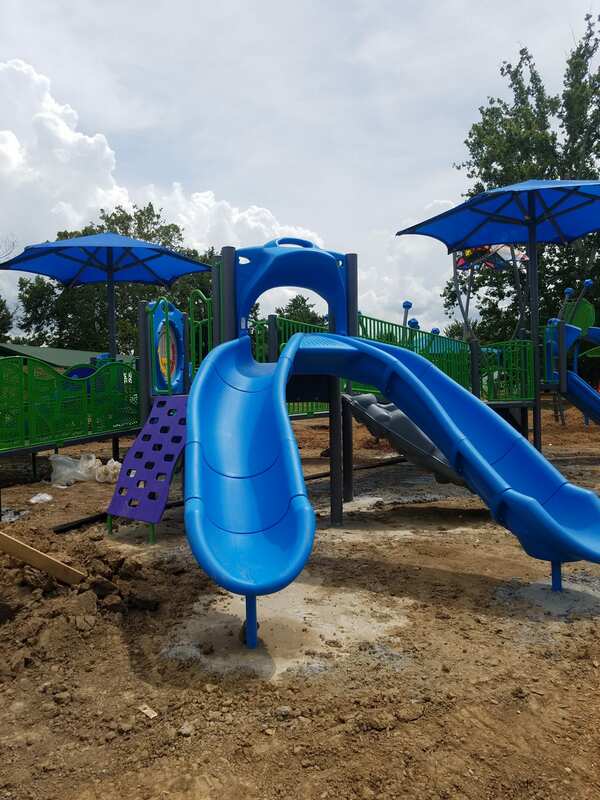 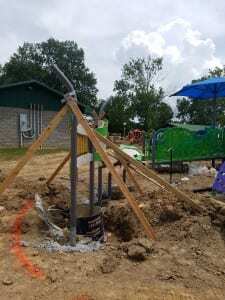 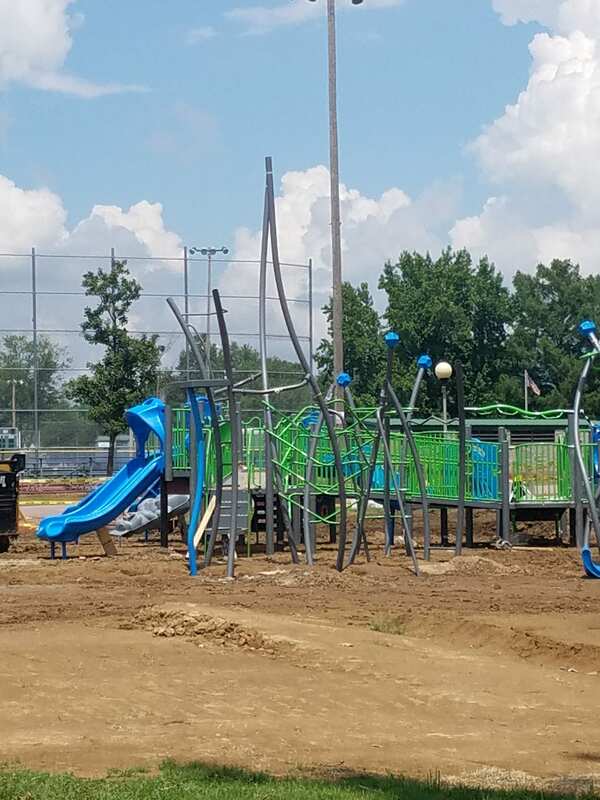 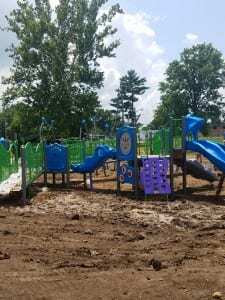 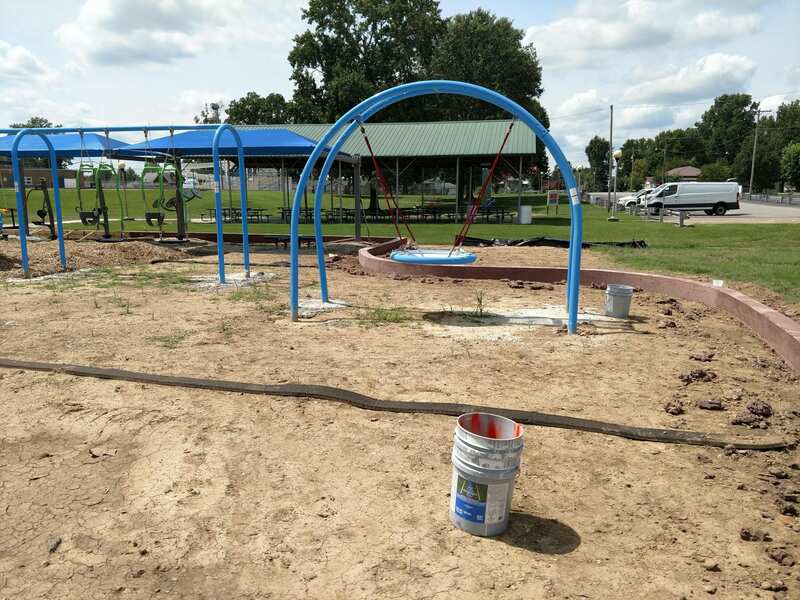 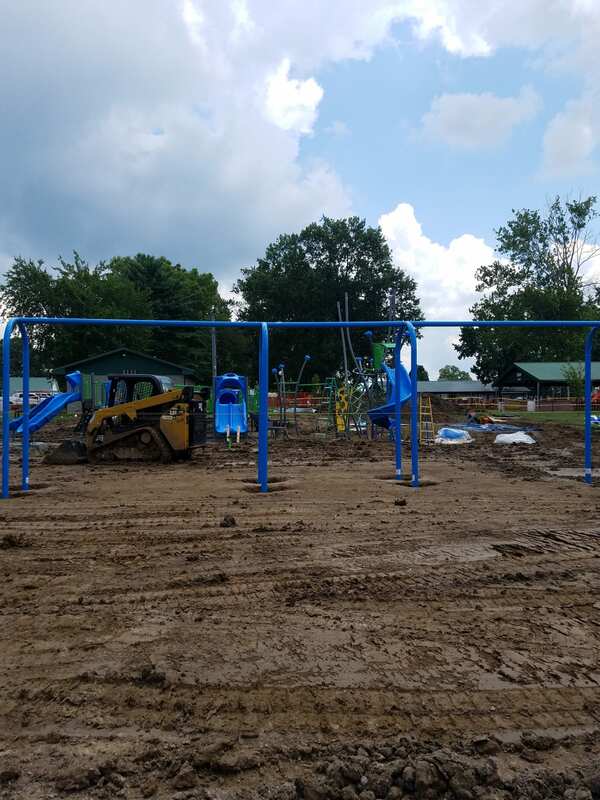 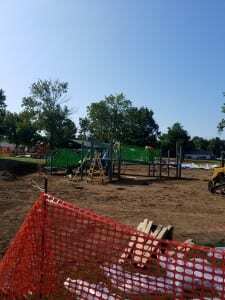 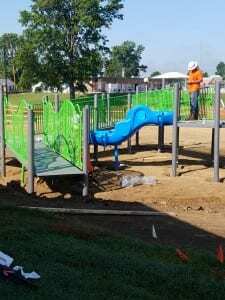 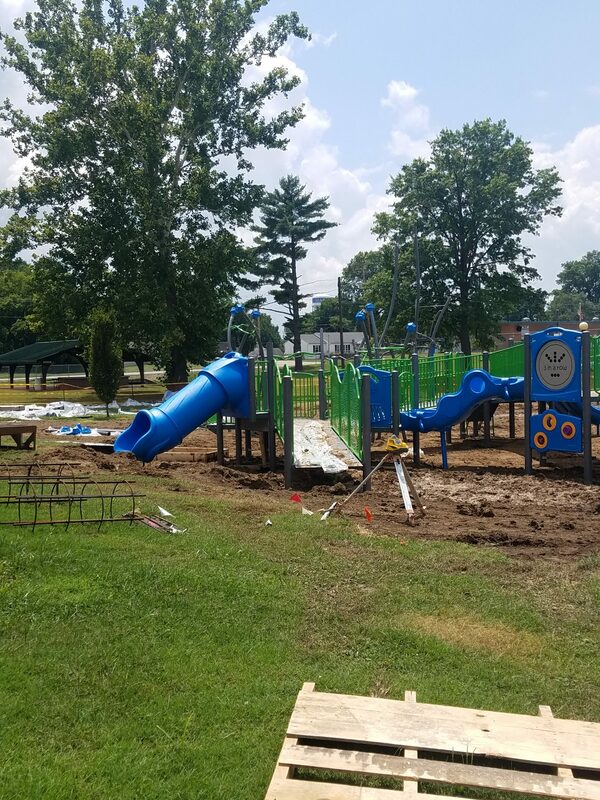 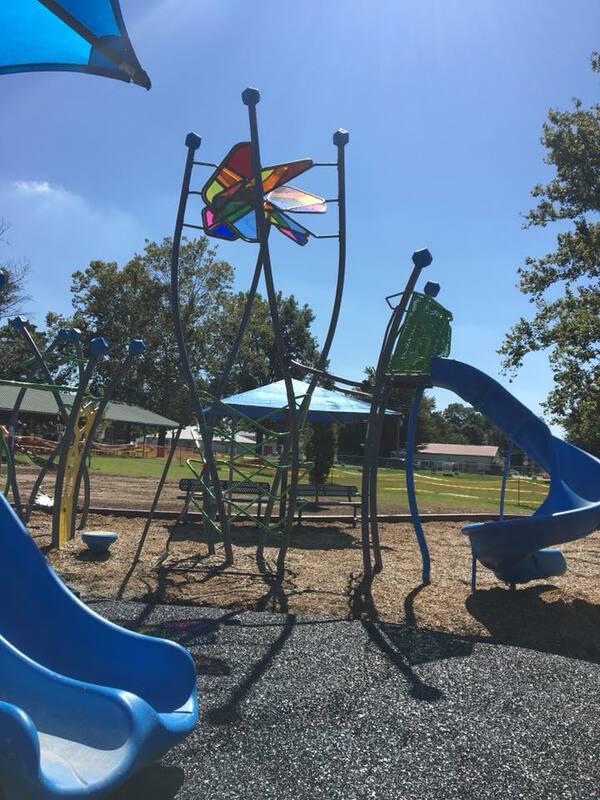 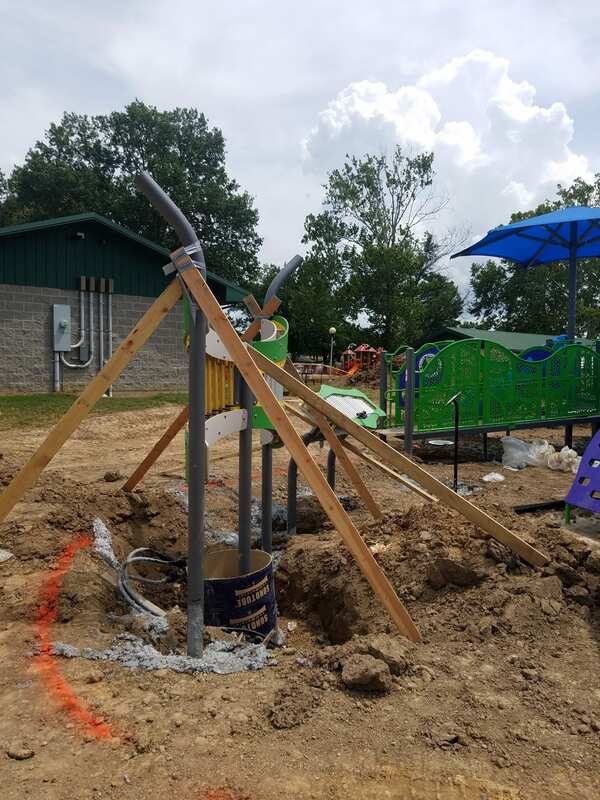 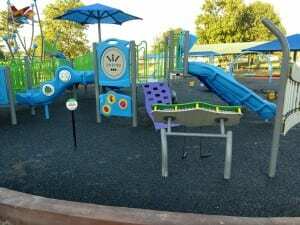 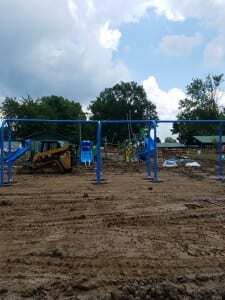 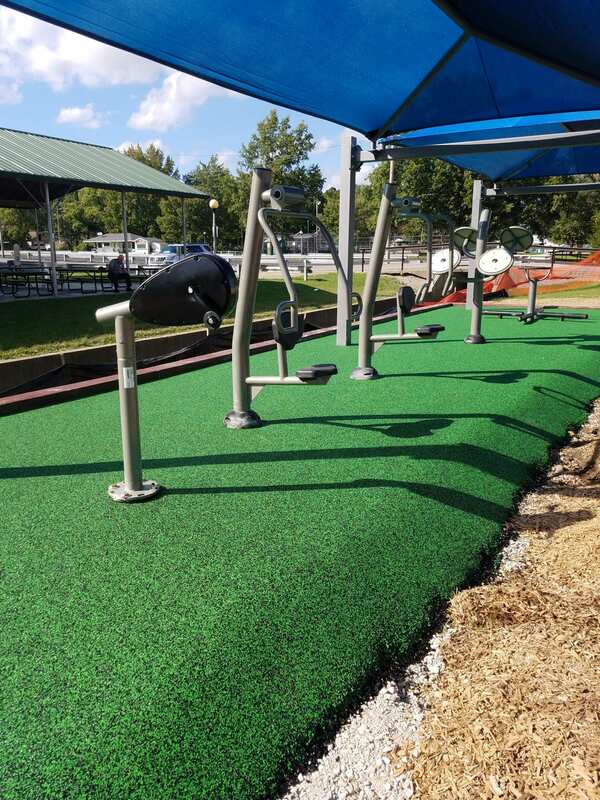 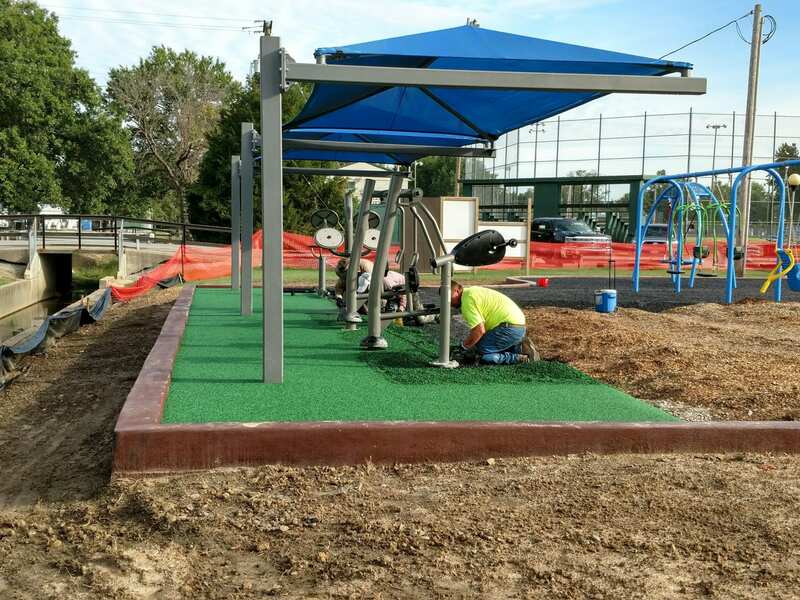 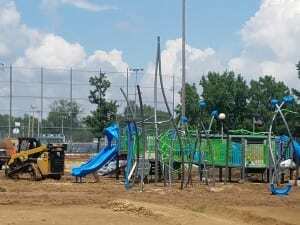 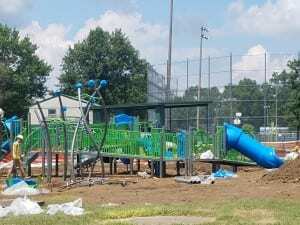 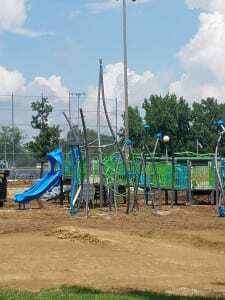 Heartland Regional Medical Center Inclusive Playground equipment installation began on July 26, 2018 at Ray Fosse Park.  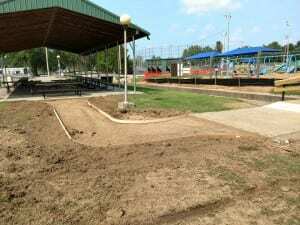 As the installation took place the Marion Park District took pictures of the progress for our Facebook page (Marion Park District). 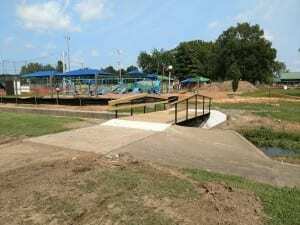 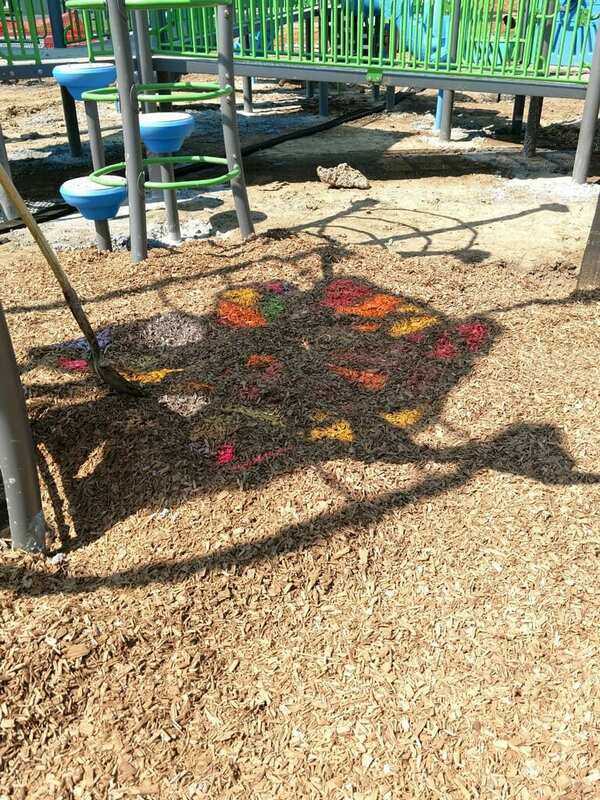 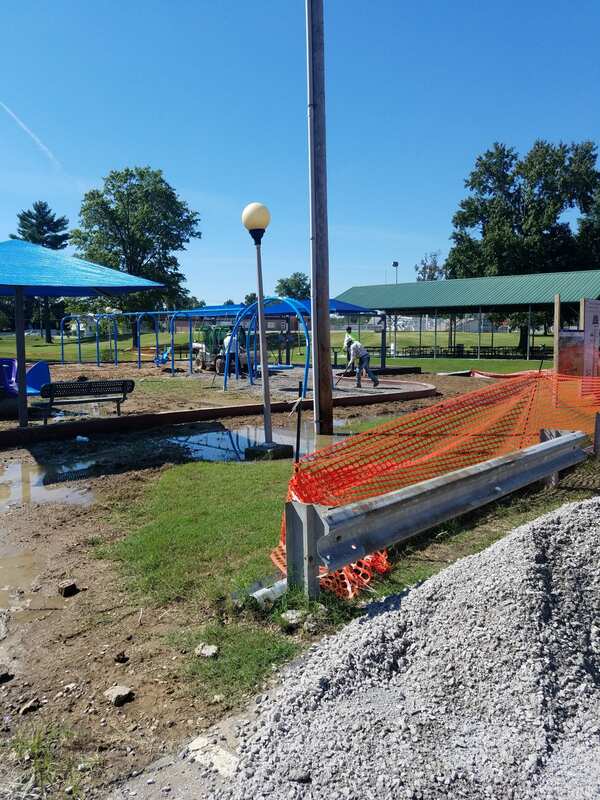 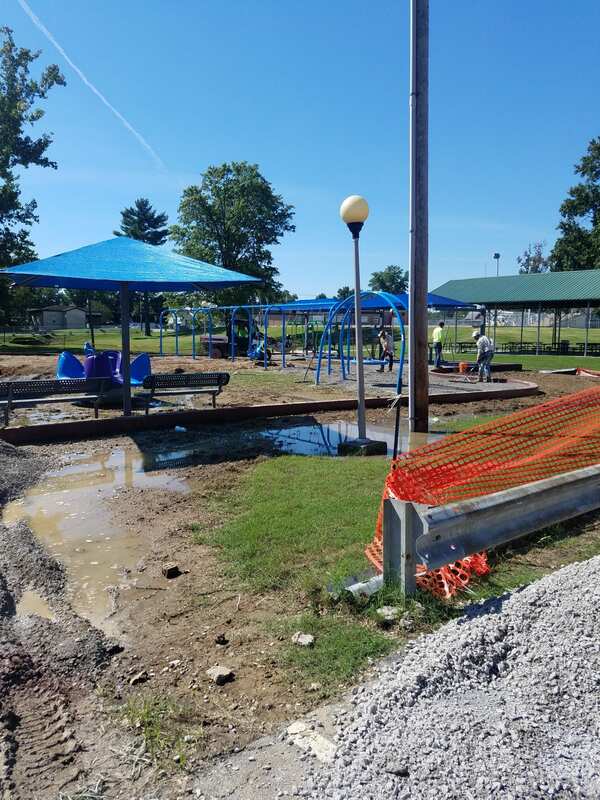 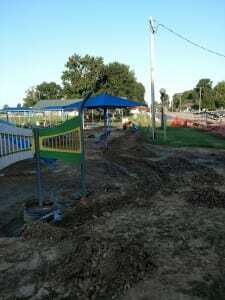 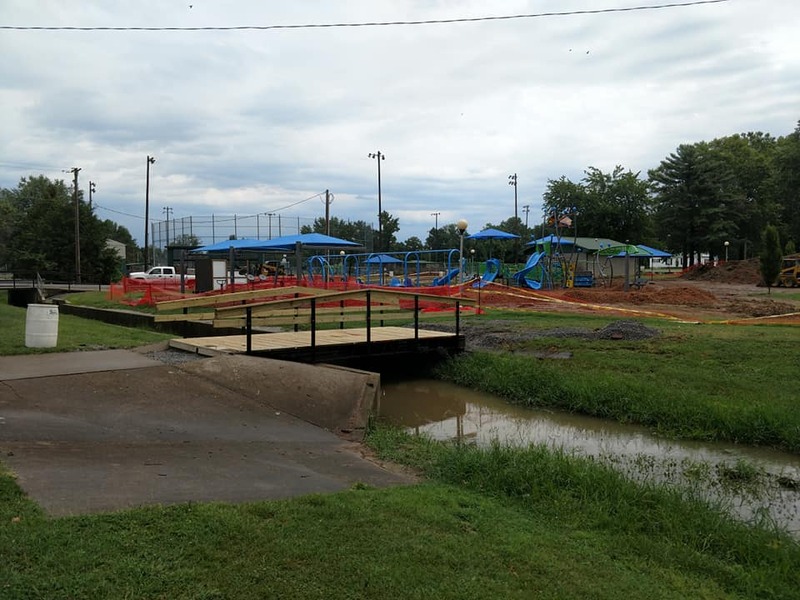 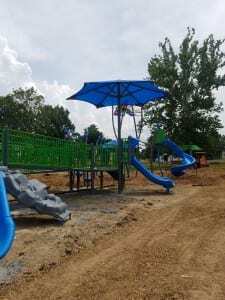 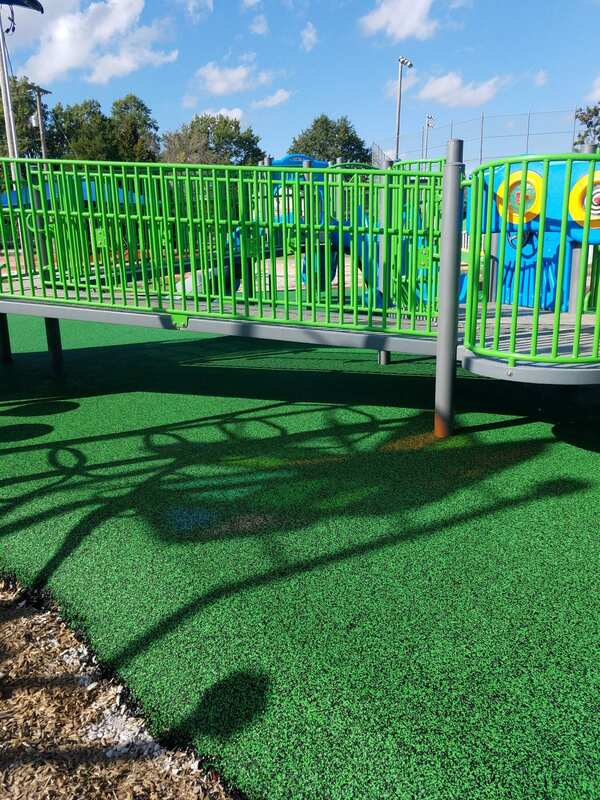 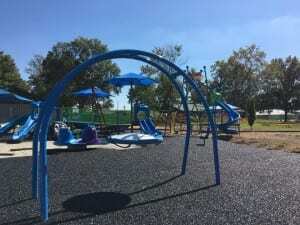 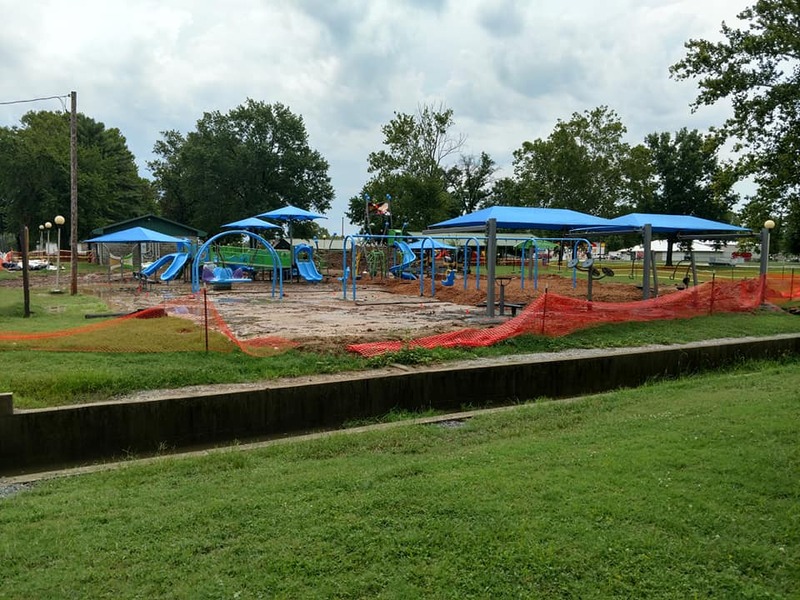 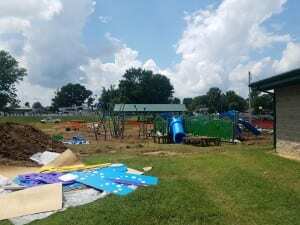 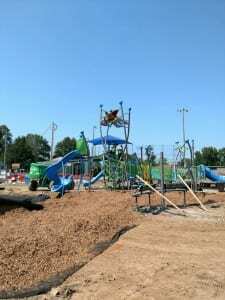 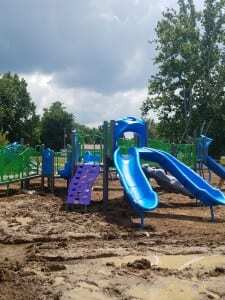 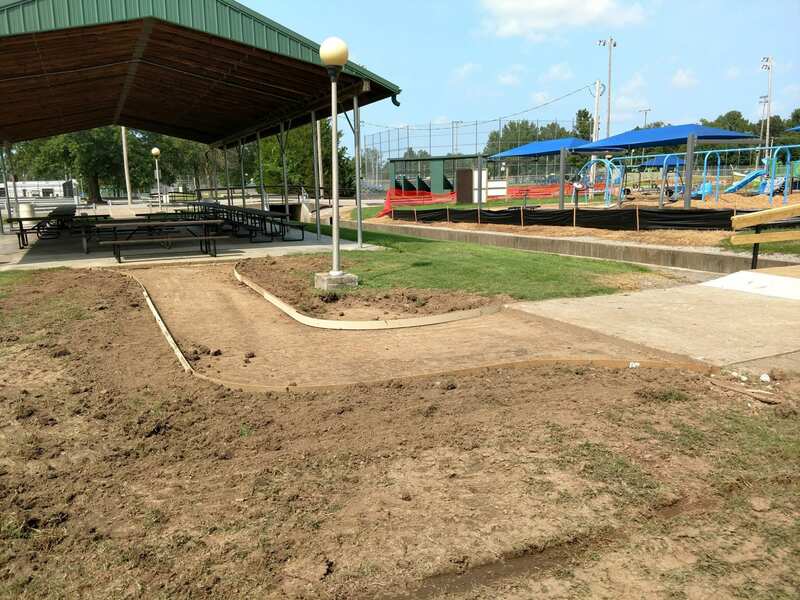 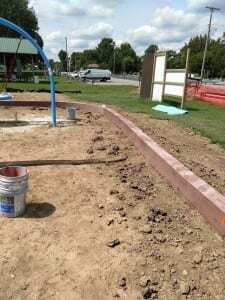 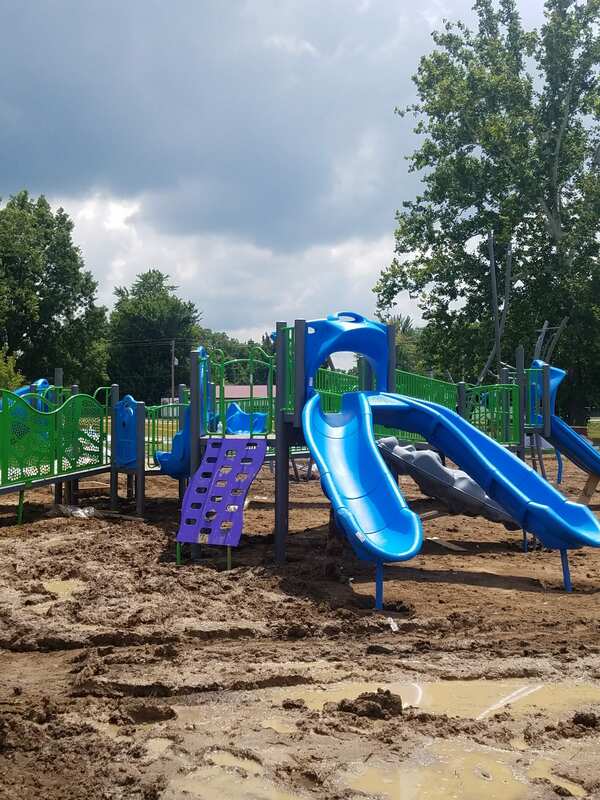 The end of August 2018, Marion Park District Park Services staff worked on the bridge area over the creek to the Inclusive Playground area. 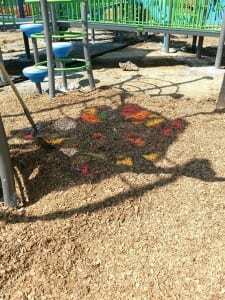 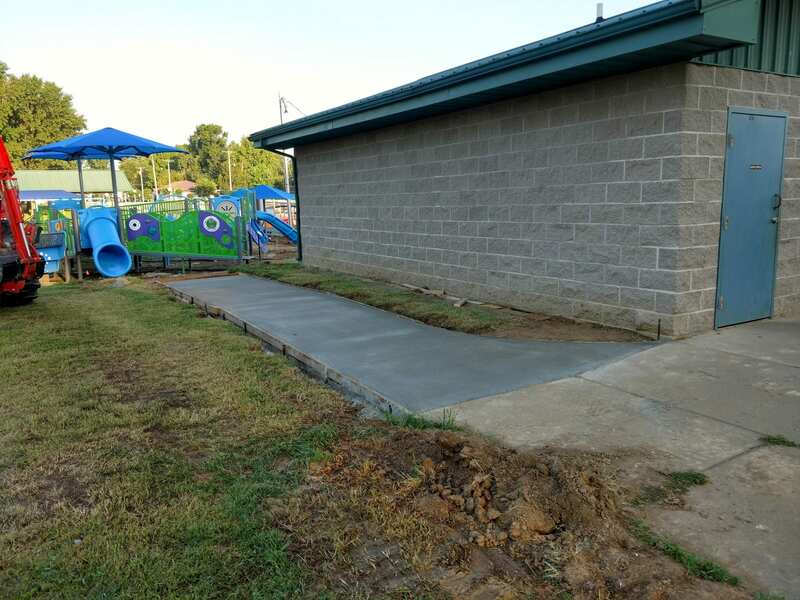 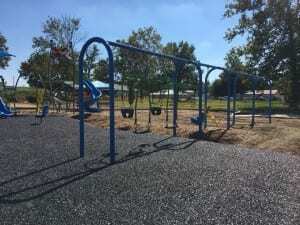 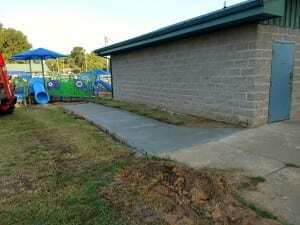 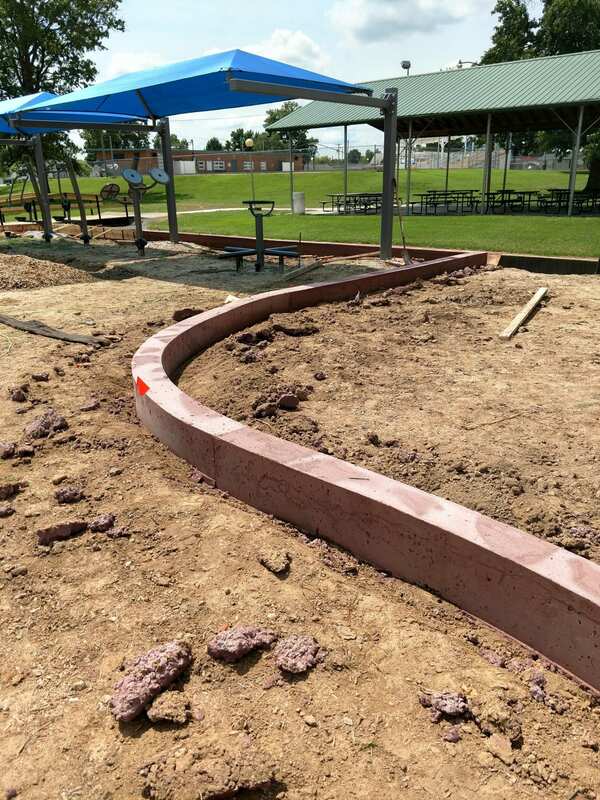 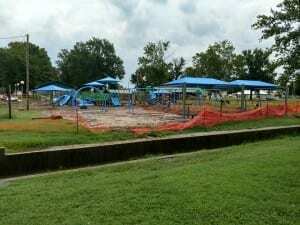 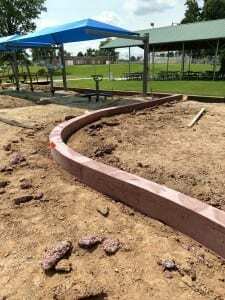 Park Services Staff and contractors installed the sidewalks and curbing around the playground area. 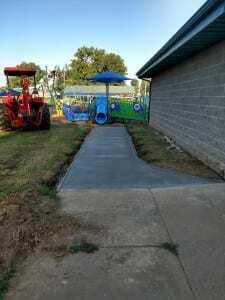 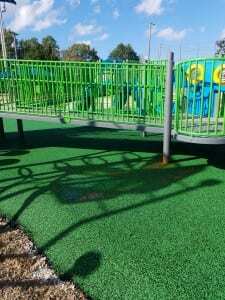 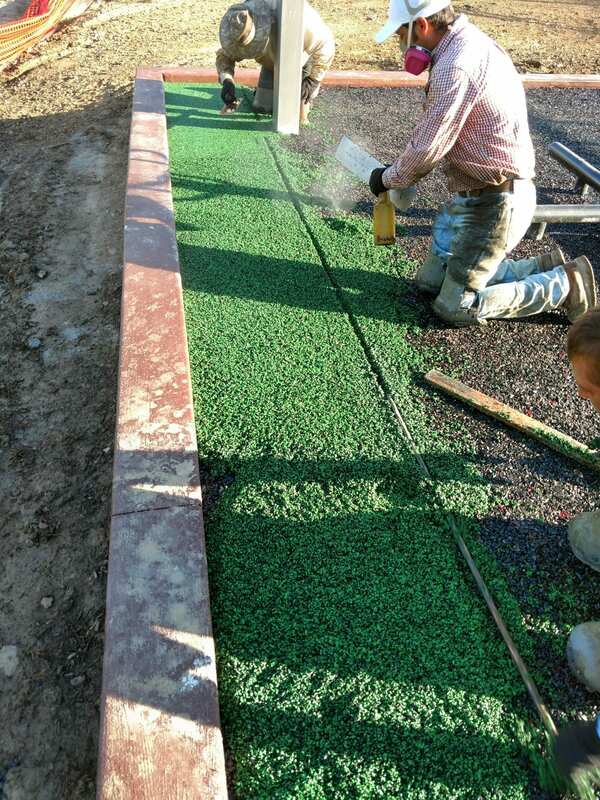 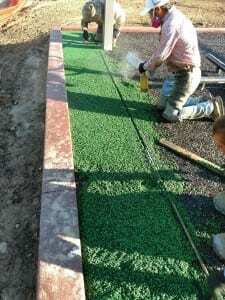 The end of September the PIP (Poured in Place) surfacing was installed at the Inclusive Playground area. 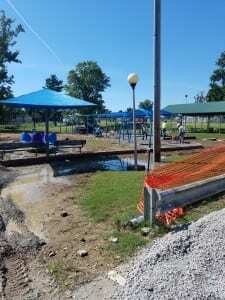 This is putting us ONE step closer to our GRAND OPENING!